021 Arete: Quote: We are what we repeatedly do. ARETE, then, is not an act but a HABIT. Quote: We are what we repeatedly do. ARETE, then, is not an act but a HABIT. Arete, then, is not an act but a habit." "This quote is from Will Durant's The Story of Philosophy, published in 1926, and it's Durant's distillation of Aristotle's thought in Aristotle's work The Nichomachean Ethics." 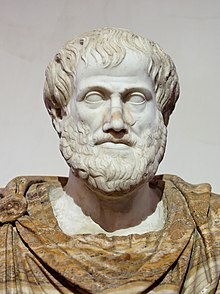 "Aristotle considered ethics to be a practical rather than theoretical study, i.e., one aimed at becoming good and doing good rather than knowing for its own sake. He wrote several treatises on ethics, including most notably, the Nicomachean Ethics. Aristotle identified such an optimum activity of the soul as the aim of all human deliberate action, eudaimonia, generally translated as "happiness" or sometimes "well being". To have the potential of ever being happy in this way necessarily requires a good character (ēthikē aretē), often translated as moral (or ethical) virtue (or excellence)." Arete (Greek: ἀρετή), in its basic sense, means "excellence of any kind". The term may also mean "moral virtue". In its earliest appearance in Greek, this notion of excellence was ultimately bound up with the notion of the fulfillment of purpose or function: the act of living up to one's full potential.